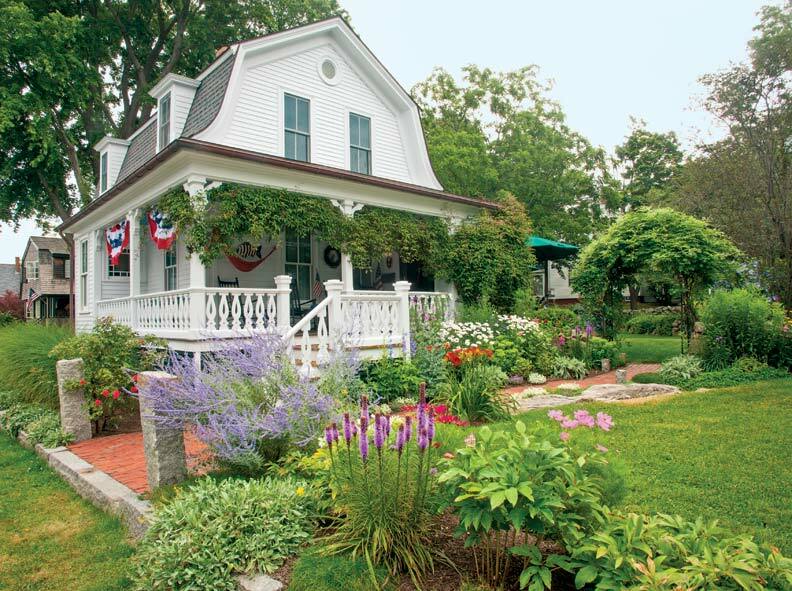 The garden outside a 1938 Tudor evolves from swaths of green to a colorful Eden. 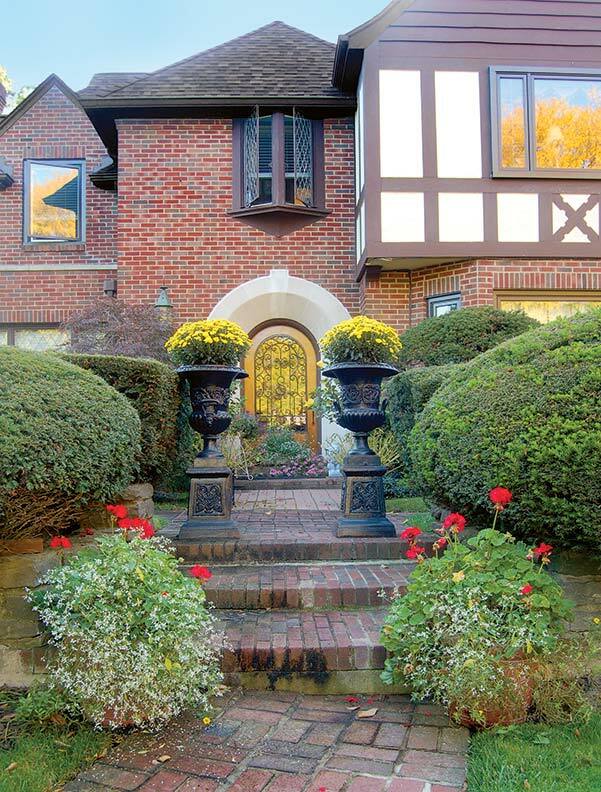 Plantings define space; antique iron urns add stately aplomb and seasonal color. 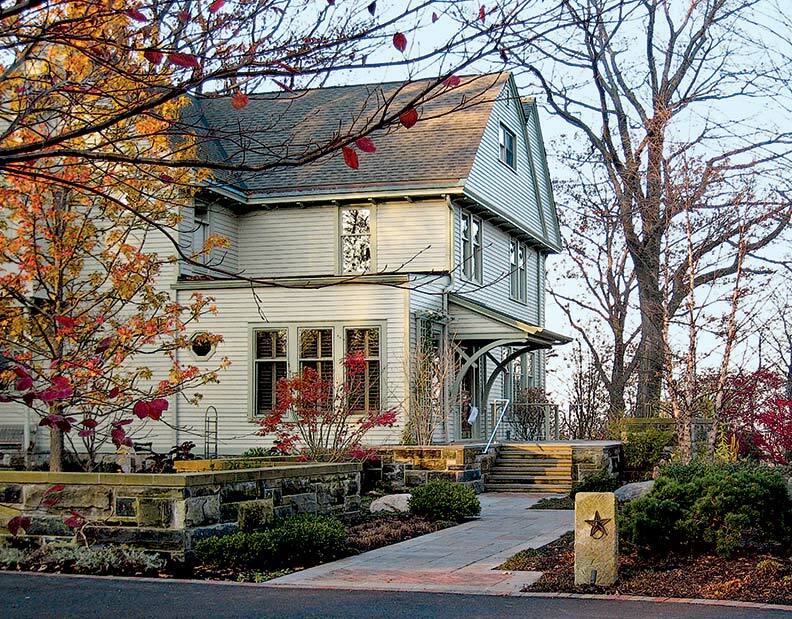 We’re proud to have an elegant old property in Flint, Michigan. 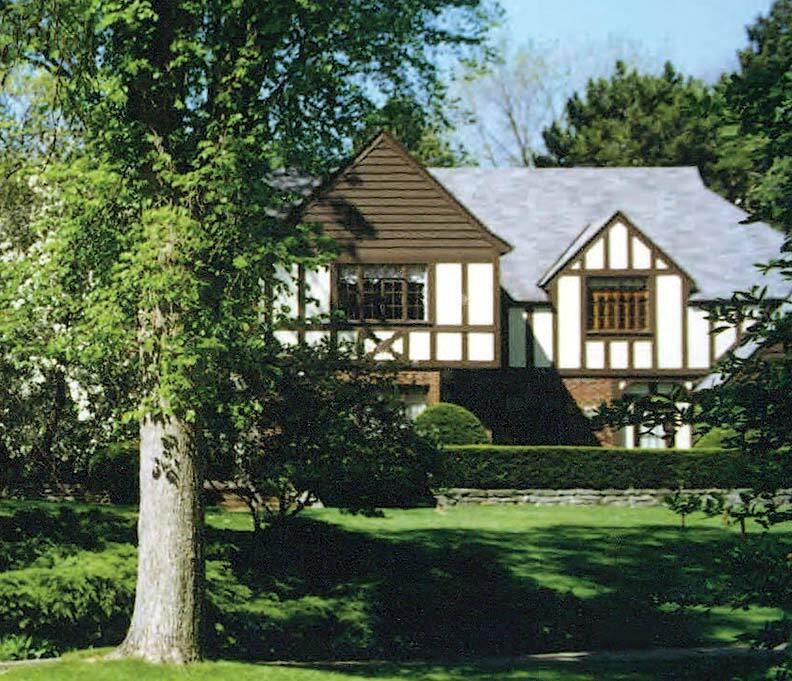 My husband, Daniel, and I bought this 1938 Tudor Revival house in 1987—wow, over 27 years ago. We are only its third owners. Overall, the sturdy house was in good condition—it retained its original 1938 kitchen, which was deemed unsalvageable by the time we remodeled the space in 2006. It took four months; the project included transforming a covered porch into a bar and office space adjacent to the kitchen. It works much better now. We’ve also updated bathrooms and put on a new roof. Generally, the condition of the yard was good. We were lucky to have inherited lovely brick sidewalks and paths, though many of them have needed repair, given our harsh Michigan winters. But the lack of color was very unappealing to me. We’ve added flowerbeds over the years. In fact, we added many, many perennials, as there were none to speak of earlier. Now we enjoy continuous color from early spring through late fall. 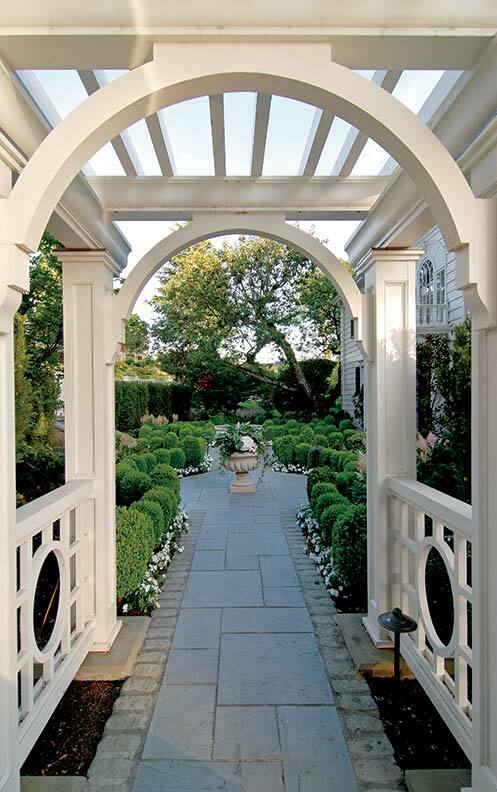 A heightened sense of passage comes from symmetrical arrangements here and at the front entry. Our approach to the redesign was to create separate gardens: a shade garden with hostas and ferns; an astilbe garden on the side; a hidden garden featuring hellebores, Pulmonaria, various ferns, and statuary. Now there’s a hammock for lazy afternoons, and a water feature with a pond and small waterfall near the patio. We expanded our use of various boxwood and hydrangea trees. 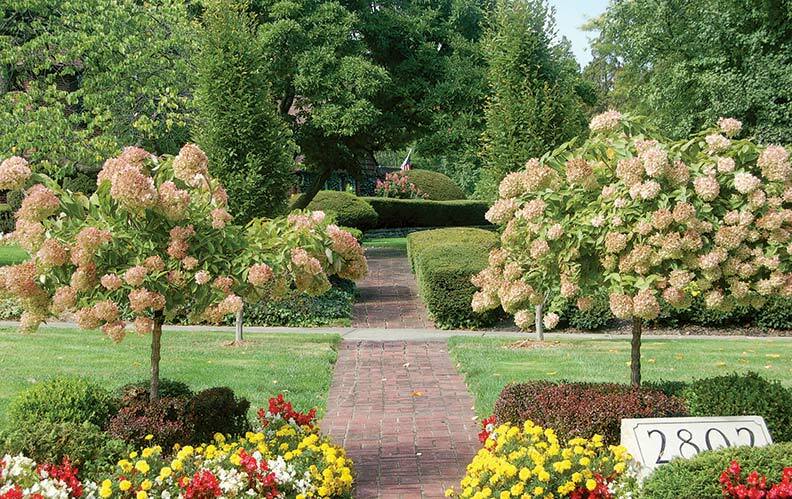 Hydrangea trees are wonderful performers with their showy mop-head blooms, lasting well into fall. A spring show is important, so hundreds of daffodils, tulips, iris, and (my personal favorite) alliums come up in April and May. In the summer, annuals add strong accents of red (begonias and geraniums), yellow (marigolds), and purple (salvia). I would not say our gardens are low-maintenance. I work in them every day, some days more than others. We did not hire a designer or landscape architect, though we’ve had help with bed preparation and planting, and James Goodrich Landscape Co. created the water feature. Since these gardens were decades in the making, we had time to put a lot of thought into their design.